Justin Welby isn't now, nor has he have you been a Freemason, a spokesperson for Lambeth Structure told Anglican Ink now. However, the archbishop’s staff rejected to discuss the archbishop’s sights around the compatibility of freemasonry and Christianity. While his predecessor, The almighty Williams, was an open opponent of freemasonry, obstructing masons from senior positions within the chapel, his successor has to date been quiet. The Chapel of England’s official stance on masonry was set through the June 1987 meeting of General Synod in You are able to, which held Christianity and freemasonry weren't compatible. It noted that Christian believers had withdrawn from Masonic lodges “precisely be­cause they see their membership of it incompatible using their Christian witness and belief.” However, the report didn't take the positioning of the Methodist Chapel in England that Christian believers should resign. 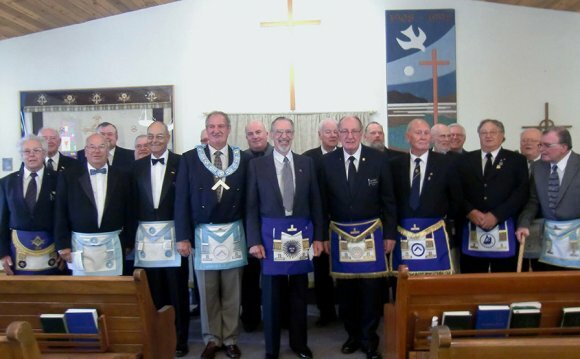 In the debate, the synod noted freemasonry recommended a doctrine of works righteousness that conflicted using the Christian doctrine of Sophistication. Another reason for theological concern was blasphemy all around the Mason’s utilisation of the word “Jahbulon” for God - a combination of Hebrew, Egyptian and Semitic game titles for God. Numerous public cathedral services throughout Archbishop Welby’s tenure has reopened the problem. On 21 Sept 2013 Canterbury Cathedral marked the 200th anniversary of Royal Arch Masonry having a special service brought through the Archdeacon of Canterbury, the Ven. Sheila Watson.